short girl, long island. : Fall Into Fall. As you may have noticed, I have been having a lot of fun joining link parties, in order to connect with other bloggers + readers. I noticed something really interesting, called a Fall Into Fall Swap. 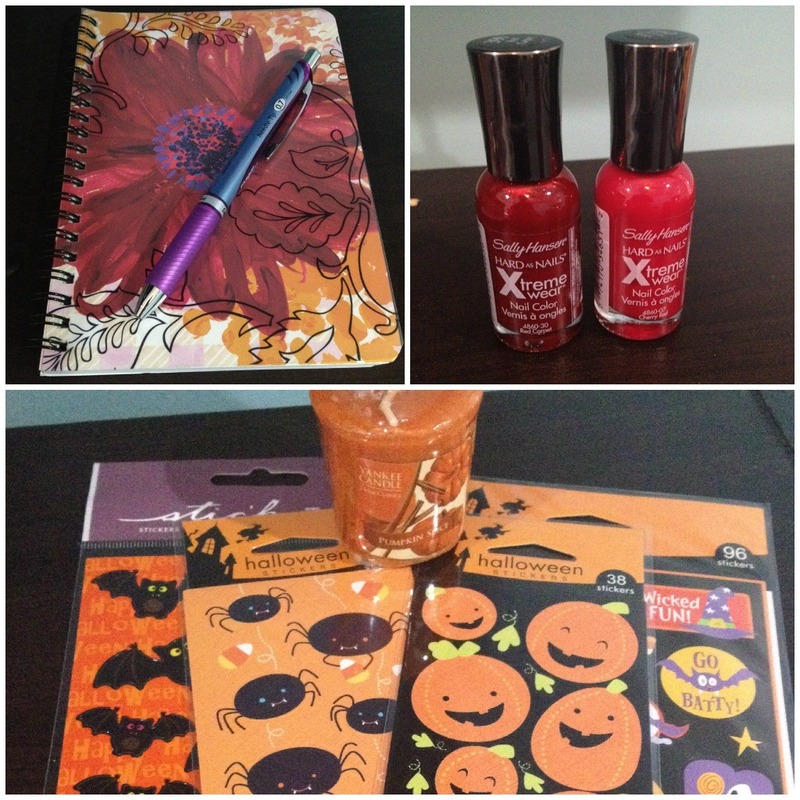 What happens is that you are paired with another reader + you swap cool autumn related goodies, with a $20 limit. It sounded like something neat to partake in, so I signed up right before registration closed. I was paired with Megan from My Life In Words + was so stoked about my parcel! 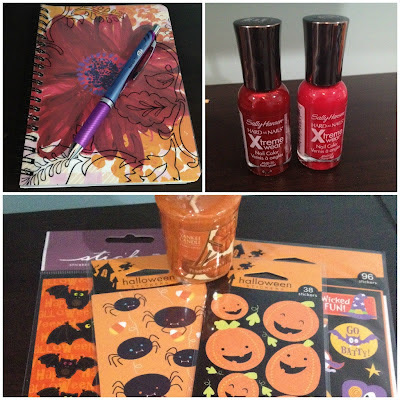 Megan got me an awesome notebook, which I am using to track my Etsy + Instagram sales in, a fantastic purple pen [it became my favorite pen as soon as it touched paper], two fun red nail polishes, a pumpkin scented candle, + Halloween stickers. I was so thrilled to see such wonderful goodies! Thanks to Megan for my sweet goodies, + to Neely, Erin + Tracy, for putting together the swap. I'm looking forward to the next one! What a fun swap!!!! It's always so much fun getting goodies in the mail!